Escene IP Phones deliver superb sound quality, rich telephony features, full compliance with industry standards (SIP) and broad interoperability with other IP-Telephony Systems like Aristel, Avaya, Cisco, Alcatel and Siemens etc. They are also perfectly integrated with Asterisk IP-PBX, Broadsoft call centre and many IMS Systems. The sleek designed ES620 has been built to work e­fficiently on mainstream hosted solutions as well as Asterisk based PBX systems. The colour screen can be customised with your logo. 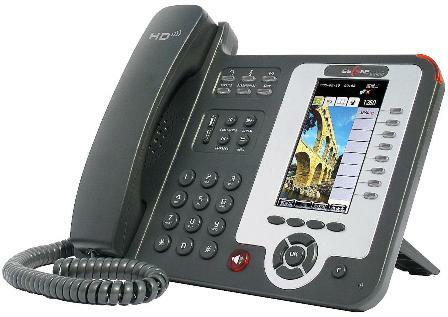 Click the button below to add the ES620 Escene Enterprise IP Phone to your wish list.